Many people who shop for a portable in-car GPS navigator – especially first-time buyers – don't know where to begin. If you find yourself asking about the features that are available, you're on the smart-shopper track. Savvy and confident shoppers know what they want before they enter a store or place an online order. These are the fundamental features to consider as you shop for an in-car GPS navigator, but there are others, and each model has strengths and weaknesses. As you might expect, the features you choose can affect the price of the GPS unit. Although you can still find a GPS unit with a 4-inch display, which is perfect for a sports car or other small car, 5-inch displays are the current standard for cars. You may see ads for 6-inch or 7-inch displays, but those are better suited to campers or trucks with large windshields. You don't want a GPS that obscures your view of the road. Size is what matters here since almost all current navigators are controlled by a touch screen rather than buttons—a definite improvement over early GPS navigators. Resolution may be of interest to you, although if the unit is positioned correctly, you should be able to see the display clearly at any standard resolution. For example, Garmin's nuvi 2 range has a resolution of 480 x 272 pixels, while the nuvi 3 range has a resolution of 800 x 480 pixels. If resolution is important to you, visit a store that has working GPS units on display to judge for yourself if the higher resolution is important to you. Modern high-sensitivity receivers provide superior signal reception in places where it may be challenging to pick up a satellite signal, such as amid skyscrapers or in heavily forested or steep terrain. Don't settle for less. High-sensitivity receivers are available on some budget models and on most others. All in-car GPS receivers offer audible directions. However, a budget model may instruct you to "Turn right, 100 yards" in a robotic voice, while a higher-end model with natural language text-to-speech capabilities provides the more precise and sure instruction by naming the street—"Turn right in 100 yards onto West Elm Street." An in-car GPS unit can serve as the speaker, microphone and touch-screen display for your compatible, Bluetooth-enabled mobile phone. Hands-free calling is a great feature, and if it's important to you, make sure it's on your must-have features list. 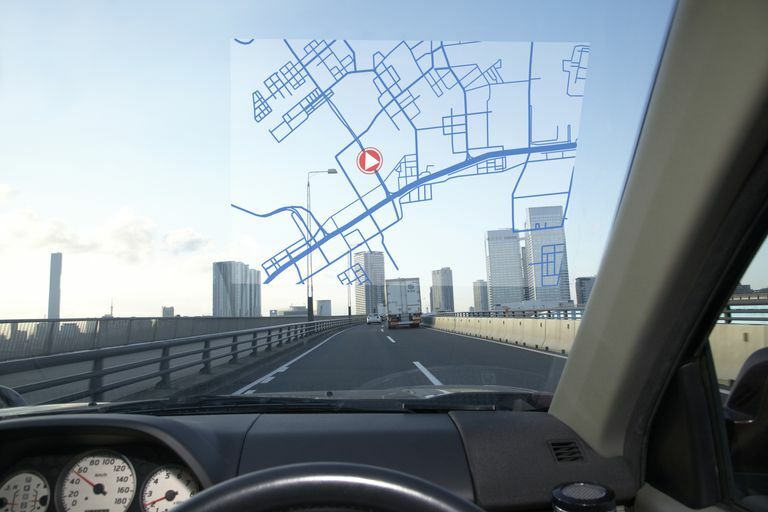 Traffic detection and avoidance are built into some in-car GPS navigators. If traffic delays are common in your locale, consider spending enough to get this feature. It could save you a lot of time. Some of the most popular GPS navigators come with a surprisingly short battery life—as low as 2 hours. Unless you don't take any road trips at all, this can be a major inconvenience. Make sure your unit can be powered as you travel through a car's 12-volt socket. MP3 players built into GPS navigators aren't nearly good enough to make you give up your iPod or smartphone, but they are available. Most GPS navigators offer voice prompts, 3D map view, auto-reroute, and custom waypoints, but if you are looking in the super-budget GPS category, check to confirm these are included. Some GPS units come with lifetime maps and some don't. At the least, your road maps should be upgradable. Some have added features that work with iPhones and Android phones, while a high-end navigation system should understand voice commands and have internet connectivity. After you settle on the feature set you are looking for, you are set to begin shopping. You're probably already familiar with the popular manufacturers of this product, but in case you aren't, check out Garmin, TomTom, and Magellan.